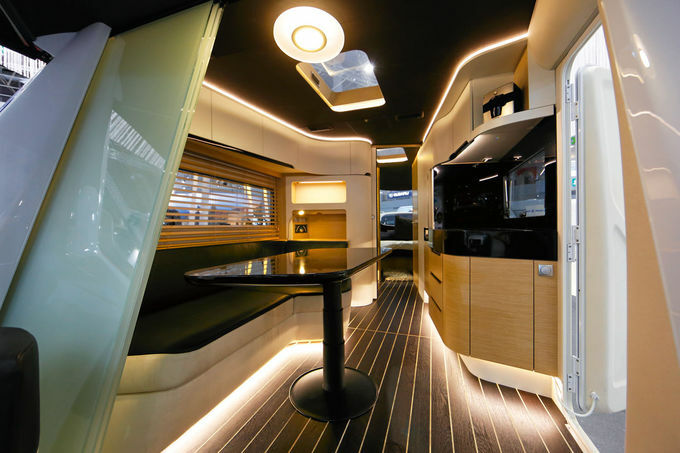 Inspired by the shape and style of luxury yachts, this curvaceous futuristic camper creation adds a degree of elegance (not to mention fuel efficiency) back into the realm of contemporary mobile homes. 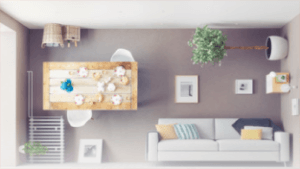 Caravisio by German company Knaus Tabbert uses curves strategically to create a sense of openness in the small living space, but also to dull the physically sharped corners that can cause problems in confined areas. High-tech features include iPad/iPod ports that tap into onboard systems as well as more energy-efficient glazing. The outside is cool, but the interior is where this design really shines. 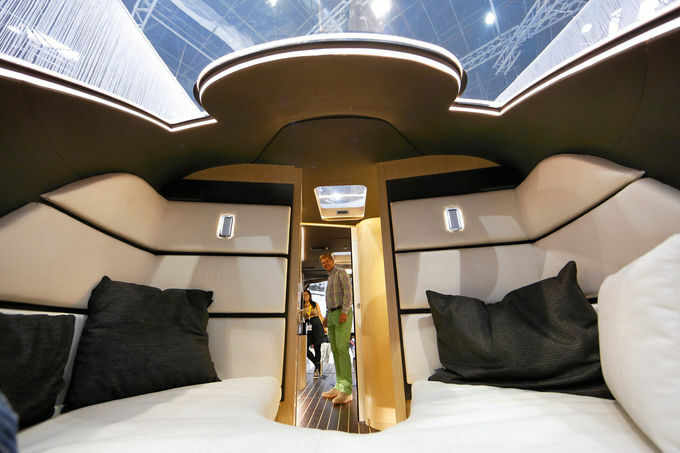 Knaus Tabbert is better known for more standard RVs and camper designs, as a perusal of its website indicates. 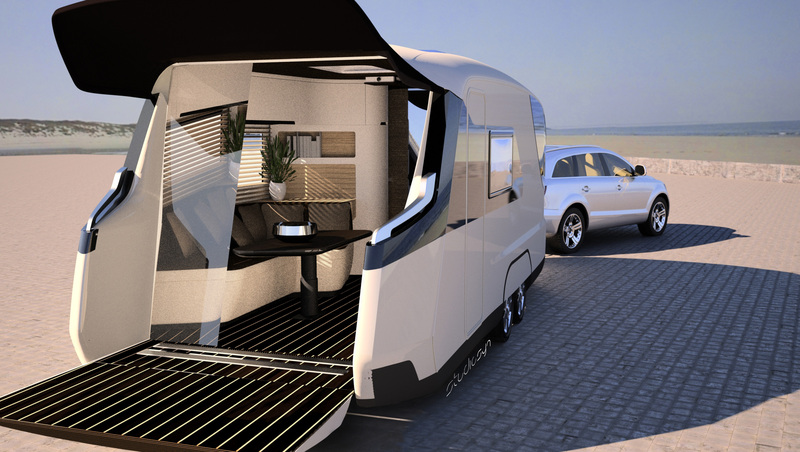 While the Caravisio “caravan of the future” luxury camper remains a concept design with a £500,000 price tag (about $660,000), its streamlined futuristic looks could carry into the future of the company’s creations. 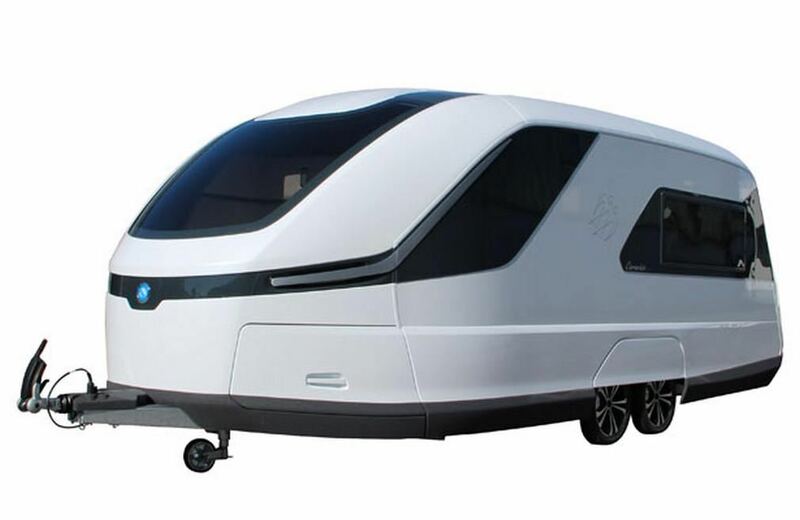 Knaus has reported a high level of public interest in the prototype with its hitch-ready shell reminiscent of a bullet train. The higher end of the company’s new creations will likely include such features as fingerprint entries and smartphone controlled air suspension.